Buy Stop the Cull a coffee. - Ko-fi ❤️ Where creators get paid by fans, with a 'Buy Me a Coffee' button. 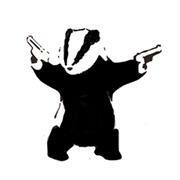 helping to stop the English badger cull, with direct action. Thanks for reading our articles, if you can afford to buy us a cup of coffee that would be greatly appreciated, but don't worry if you can't, we are here to try and help everyone fight the badger culls in whatever way they can, emails, letter writing or directly getting involved during the culls. We've been doing this for four years now and we'll keep doing it till it's over, thanks again for the visit. Secured Payments. Support goes to Stop the Cull's account. Upgrade Stop the Cull to a yearly Gold Membership with a one-time payment.